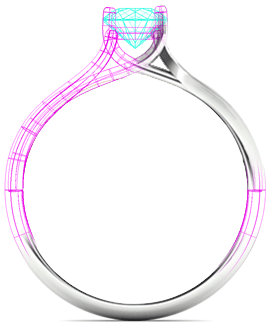 We’ve combined innovative custom design technology with traditional hand made manufacturing to deliver high quality jewellery, created by you. Create a memorable item, for any occasion, for anyone. Create a one-of-a-kind piece of jewellery that celebrates life's moments! Start by selecting your choice of .925 Sterling Silver, 9K or 14K White, Yellow and Rose Gold to begin your personalised piece. Next, take a look at our shimmering birthstones or Zirconia by Swarovski crystals to make your item sparkle! These stones are a great way to commemorate birthdays, anniversaries, or a special milestone. 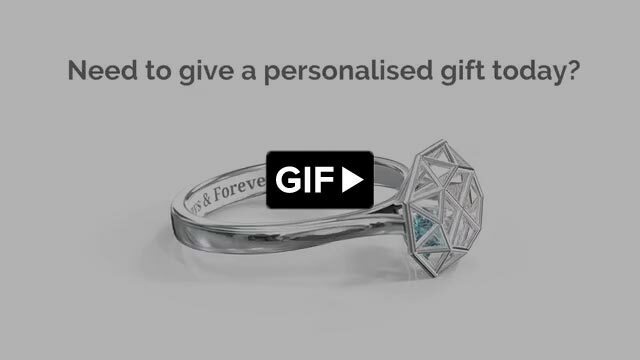 Finish your piece by adding a custom engraving of any name, date or message to complete this completely unique Jewlr piece. We have a large selection of rings, charms, pendants and earrings for you to choose from. Our jewellery designers are always adding new items, so keep posted! We offer sterling silver, 9K and 14K yellow, white and rose gold, and different combinations of tungsten. Our silver is made from 92.5% sterling silver. The other 7.5% is a copper alloy used to increase strength. Gold is one of the most precious metals. We offer 9K and 14K yellow, white and rose gold. Some of our items are available in varieties of tungsten - which is one of the world’s strongest metals. We offer genuine, synthetic and SWAROVSKI Zirconia stones. We also have a beautiful collection of sparkling diamonds. Genuine gemstones are mined directly from the earth and have taken millions of years to form. No two genuine gemstones are identical making any jewellery piece truly unique. Diamonds are the most valuable stones and are practically unbreakable. Their quality is based on colour, clarity, cut and carat weight. Simulated stones are created in laboratories and emulate the characteristics and look of genuine gemstones. The SWAROVSKI ZIRCONIA stones used in our jewellery are cut using the Swarovski Pure Brilliance cut which offers the same brightness (brilliance) as the highest brilliance cut Tolkowsky Diamond. We offer four fonts for you to choose from when engraving your special piece. Once all your selections are made, we print your item using a 3D printer, then we cast your metal, set your stones and laser engrave your message. When your item is ready, we thoroughly inspect it to ensure perfection. After it passes our quality control process, we package your item in our custom, beautiful packaging and ship it to your door. We take pride in the items that we produce. That’s why we go above and beyond to make sure that the recipient of every Jewlr piece is happy. If you have any questions, comments or concerns, we want to hear from you. Go ahead, create something special.